In HAMK, professors are skilled in their area of expertise, helpful and approachable. 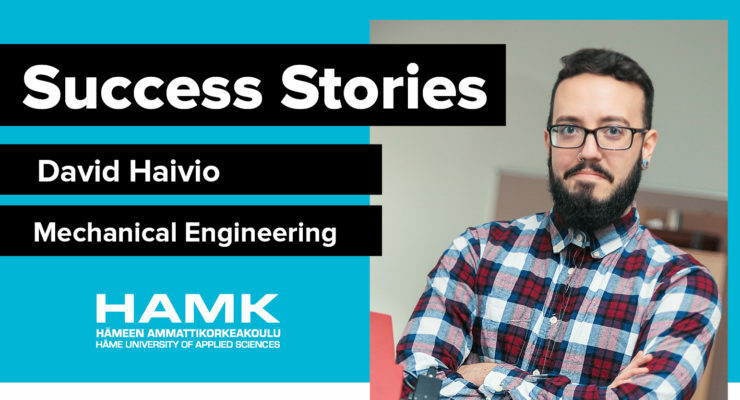 David Haivio is a last year student in HAMK’s Mechanical Engineering and Production Technology degree. He will graduate on next winter, but he has already got a full-time job as a Mechanical Designer in a local company. 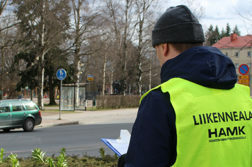 Now he works full-time and writes his thesis at the same time – and manages to do both! Before getting the job as a Mechanical Designer, David has worked hard with his studies and took part in many extra-curricular activities, like company projects. He has done his work placement for HAMK’s Research unit Sheet Metal Centre, where he has focused on 3D scanning, project management, design, machining, and teaching these subjects for other students. 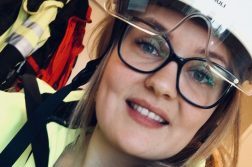 Where you come from and how did you end up studying at HAMK’s Mechanical Engineering? Tell us little bit about your work placement and extra-curricular activities? During my studies I have supplemented my already busy curricula with activities and work practice in several other areas, starting with an internship at the HAMK’s own Sheet Metal Center research department (SMC), and progressing from there into 3D scanning, project management, design, machining, and even some teaching (photogrammetry). In 3D scanning I have had the opportunity to learn about structured light scanning and how to effectively use it in the field of engineering for reverse engineering, product design, quality control, and materials testing, which in turn gave me a chance to put my skills to work in real life case studies. Experience is the best teacher, and my time working and studying with the SMC have given me a chance to practice design for several projects, then practice project management for several more, then manufacture those designs and the parts for those projects, all the while benefiting from the supervision of the educators. I have benefited greatly from the opportunities I have encountered, but it has cost time and effort, like all progress does. I have learned a lot about the field of engineering, not only that which can be learned in lectures, but about the real life practices and problems that students can face after graduating. Why would you recommend someone to study Mechanical Engineering in HAMK? For many reasons, foremost of which would be the professors: they are skilled in their area of expertise, helpful and approachable. Another would be the resources of the facility, a fully outfitted workshop, several labs, and project and meeting rooms. The opportunity to work with 3D scanning is another, as it is an emerging technology with an interesting future. You are soon to graduate, what kind of plans do you have for the future? I have completed over 85% of my studies, and hope to graduate before the end of the year, work permitting. I am working full time as a Mechanical Designer, which might delay my completion slightly, and have also began work on my thesis. After graduating I will work in the field for a year or two, before pursuing a Master’s degree in engineering. As a mechanical engineer I found your website very useful. All the information given in the blog are written well to the topic.I would like to recommend the this website to all the young engineers out there . Keep writing such articles..!! !